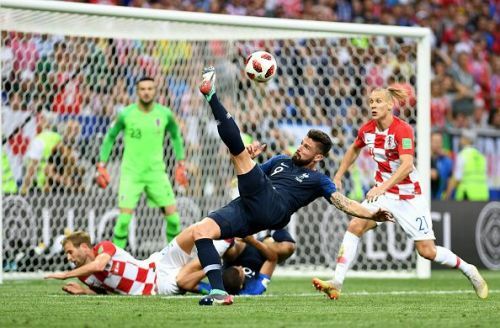 Curtains came down at the 2018 FIFA World Cup in Russia on Sunday, with France clinching a memorable 4-2 victory over Croatia. This World Cup had it all from own goals, use of video technology in key game decisions, goal-line technology, and even the naughty pitch invaders. The best part of a good football tournament is the goals. This tournament presented that on various fronts. At least each of the 32 teams scored two goals to their credit. In all 64 matches, there was only one goal-less match. This was a dead rubber group match between France and Denmark. A total of 169 goals were scored, and this three goals would leave any player licking his lips at the prospect of scoring them. Belgium finished top of Group G, ahead of England, to set up a last 16 clash against minnows Japan. On July 2, 2018, the two teams squared off at the Rostov Arena, Russia with Japan being the only Asian team left in the competition. The Red Devils were expected to cruise past Japan. However, their dominance in the match counted for nothing, as it was Japan that took an unexpected lead in the 48th minute through Genki Haraguchi. 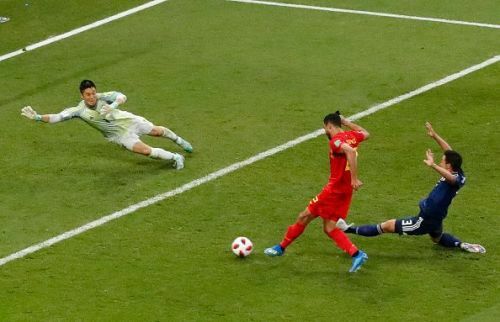 Japan stunned Belgium further barely four minutes later when Takashi Inui received the ball from outside the box and unleashed a piledriver to double their lead. Belgium responded in quick succession through Jan Vertonghen and substitute Marouane Fellaini. With the match destined for extra time, there was room for one more plot twist. In the 94th minute, towering goalkeeper Thibaut Courtois caught Keisuke Honda's corner from the left wing and threw the ball to Kevin De Bruyne. The Manchester City playmaker drove to the heart of the Japanese midfield and fed Thomas Meunier on the right wing. Meunier then squared the ball across the face of the goal that Romelu Lukaku let roll under his feet for Chadli to plunge the final dagger. The beauty of the goal was that it was in the dying seconds of the match and Belgium had to dig deep to survive against inferior opposition. This completed the Red Devils comeback as they won 3-2 on the night. Can India make it to the 2026 World Cup?